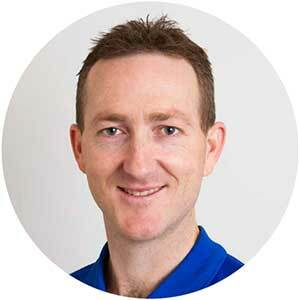 Simon completed a Bachelor of Applied Science in Physiotherapy in 1998 at the University of South Australia. His training and experience in emerging research fields such as fascia, chronic pain and how exercise can powerfully influence pain and the brain has led to him to focus his interests on complex and persistent pain presentations. Simon enjoys the challenge of problem solving and is passionate about achieving the best possible results for his clients. He prides himself on being thorough and following things through to the finish. Simon loves to keep active himself and is really committed to helping the everyday active person to keep doing what they love. The types of exercise Simon has training in include Clinical Pilates (Equipment and Mat), Tai Chi and Qigong, Fascia specific training, Yoga, Natural Movement, as well as injury-specific Functional Strengthening and Stretching programs. Simon uses hands-on manual therapy techniques to release tension in the muscles and fascia, mobilise the joints and rebalance the pelvis. Simon has specific training in treating headaches using the Dean Watson Technique. He is trained in Western Acupuncture and Dry Needling, which he uses extensively with his clients if appropriate. Simon has completed training in treating patients with Vertigo and Balance problems. This includes Benign Paroxysmal Positional Vertigo (BPPV), Vestibular Neuritis and other inner ear and musculoskeletal balance problems. Kate completed a Bachelor of Physiotherapy in 1999 from the University of ¬South Australia, and has post graduate training in Traditional Acupuncture, Lymphoedema Management and Pilates (Polestar). Since graduating, Kate has worked in Lymphoedema and Lipoedema management. Some of the techniques she uses to assist in the management of Lymphoedema include massage, compression bandaging, taping, prescription of compression garments and education. 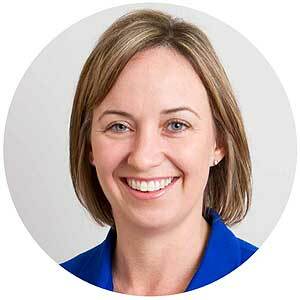 Kate is a member of the Australasian Lymphology Association of Australia and is on the National Lymphoedema Practitioner Register. Kate has advanced training in Traditional Japanese Acupuncture as well as Western Acupuncture and Dry Needling. She finds using the combination of Eastern and Western Medicine highly effective in treating many conditions including chronic pain, Women’s Health, headaches and musculoskeletal pain. Kate is also a qualified Pilates instructor and highly recommends Physiotherapy Exercise using Pilates Informed methods as a means to recover and prevent injury. Kate has also completed a Runity course and enjoys helping everyday runners with their technique, so they can run pain-free. 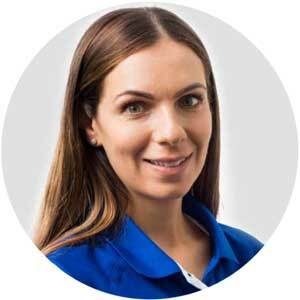 Vicky has 15 years’ experience as a Physiotherapist and 9 of those at Sturt Road Physio. Vicky is very passionate about her work and loves helping people to be the best they can be, whether that be in general day-to-day activities or in their sporting endeavours. She sees a real benefit in the combination of hands on therapy, acupuncture, and exercise to help alleviate your pain. She qualified from Manchester University, England in 2003 and moved to Adelaide in 2009. In 2017 Vicky gained her Australian Citizenship, so is now a dinky di Aussie. Chris has a unique skill set as a Physiotherapist; he has a Masters in Strength and Conditioning (2010) and a Masters of Physiotherapy from the University of Canberra (2012). He is also currently completing his clinical Masters in Sports Physiotherapy through La Trobe University. This combination of qualifications enables Chris to apply advanced strengthening programs and strategies to all patient types from athletes to the everyday exerciser and even those who have been out of exercise for a long time. Chris is highly dedicated to Physiotherapy and his clients. He has a wealth of knowledge on the most recent research pertaining to injuries and their assessment and management. This means you get effective evidence-based treatment that gets you better sooner. Chris loves to problem solve and is very good at getting to the bottom of complex or unusual injuries. Chris loves his footy and all things sports. He is currently the team Physiotherapist for the State Under 17’s Netball team, who have won premierships in 2017 and 2018. 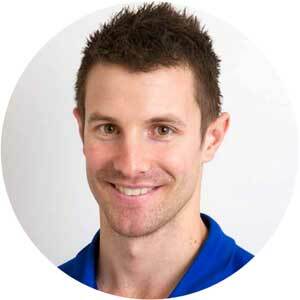 He is a member of the South Australian Sports Physiotherapy Group of the Australian Physiotherapy Association. 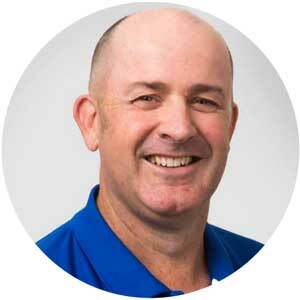 Chris treats athletes from a wide variety of sports including Aussie Rules Football, Soccer, Cricket, Netball, Golf, Tennis, Basketball, Triathletes and runners. Rick is a highly experienced Physiotherapist with exceptional hands on manual and exercise therapy skills. He has been a Physiotherapist for 27 years and has a wealth of knowledge in all kinds of musculoskeletal injuries and is able to provide accurate diagnosis and prognosis of your problem. When appropriate, Rick is able to use manipulation of the Thoracic or Lumbar spine to mobilise stiff joints. Rick is passionate about helping people’s posture due to its prominent role in contributing to neck and shoulder pain especially. We especially see this in people that have to work at the computer for long periods of the day. Simple specific exercises can be done to correct poor posture enough to alleviate pain in a surprisingly short period of time. Rick has worked in the field of work related injuries with great success. He is very familiar with the needs of injured workers as well as the employer. He is experienced in carrying out work place assessments in small or large businesses and can easily provide your business with Manual Handling Training. Rick has many years of experience in developing appropriate hydrotherapy and gym programmes for both injured workers and private patients, especially pre and post operatively for those undergoing joint replacements or reconstructions. Sport is one of Rick’s passions, so getting people back to sport as soon as possible and keeping them there is a high priority for Rick. Rick has worked extensively in the field of throwing injuries of the shoulder with softballers and cricketers, including some voluntary work with the junior state softball sides. Being a keen golfer himself, he is familiar with treating the wide range of injuries that come with playing golf, as well as being able to assist with swing technique to improve is efficiency and reduce injury. Rick’s leisure time is spent mostly with family, which includes his dogs, outdoors somewhere near a beach, or watching his girls play sport. He enjoys travelling, having spent a year living in Switzerland, and most of his holidays are now conveniently close to golf courses, where he gets to combine his love of the great outdoors and photography. 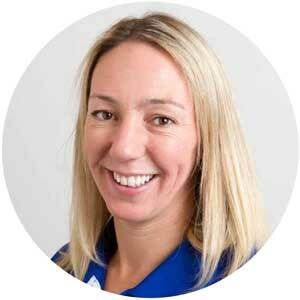 Steph is a highly qualified Physiotherapist and Pilates Instructor. She has a Certificate IV and Diploma with Polestar Pilates and mentors Pilates students for Polestar in Adelaide. Steph is continuing her Pilates education further by completing her Authentic Pilates Course. Steph uses her Pilates expertise to help many patients regain their strength and flexibility, improve their posture and reduce pain. She uses it for patients suffering with neck and back pain, scoliosis, shoulder and hip pain, Women’s Health (including non-intrusive Pelvic Floor rehabilitation) as well as all sorts of Sports Injuries including ACL reconstructions and hamstring strains. Steph loves to learn, so has completed a lot of post graduate training courses. She has completed the Australian Physiotherapy Associations Paediatric level 1 course and is planning to attend level 2 later in 2018. Steph works with children with developmental delays and has also worked as a disability support worker through university and found this very rewarding. Steph has completed levels 1 to 3 of Traditional Japanese Acupuncture through the Australian Physiotherapy Association. As well as using this to treat most types of musculoskeletal injury or pain particularly headaches, Steph finds traditional acupuncture very effective in helping other associated issues such as gut problems and insomnia that don’t respond to other forms of treatment. Running is something Steph believes can be made accessible to everyone that want to. She has completed specific training on running form and technique to improve efficiency and to prevent and treat injury. Steph is able to draw on a wide range of her skills to either get people started with running or keep them running to achieve their goals. Steph has also completed Women’s Health training and specific spinal pain treatment methods including the McKenzie Method®. Apart from being a physio Steph has lots of hobbies that include playing piano (she has completed up to grade 8 A.M.E.B), running, travelling and cooking.